Virginia hunters will have to wait at least another year for the chance to hunt on Sundays. Senate Bill 464, which would have allowed Sunday hunting on private land only, sailed through the Senate by a vote of 29 to 11, but died in sub-committee 4-3. The most surprising — and most effective — opposition didn't come from the Humane Society of the United States or PETA. Neither group put any effort into the latest efforts to kill Sunday hunting. They didn't need to. They had a de facto ally in the Virginia Hunting Dog Alliance (VHDA), a group that consists mostly of deer, bear and fox houndsmen. The group has actively fought efforts to repeal the state's Sunday hunting ban for several years, citing religion and other reasons for their long-standing opposition. The real reasons the VHDA opposed the bill, said Matt O'Brien, are fear and selfishness. "They can already hunt on Sundays. They can legally chase raccoons, bears and foxes on Sunday, but they don't want anyone else in the woods," said O'Brien, who was active in the fight to overturn the ban through the Facebook group "Legalize Virginia Sunday Hunting for All." The bill originally allowed all types of hunting on private land, but was amended to exclude the use of deer hounds at the request of the leadership of the VHDA. Even after hounds were excluded, the VHDA still opposed the bill, fearing restrictions on deer hounds and increased scrutiny from the public. "We absolutely know that in every state that liberalized Sunday hunting that also allows the use of dogs for deer hunting, there was a significant decline in the freedom to use dogs soon afterwards," said VHDA lobbyist and vice chairman Kirby Burch. "Alabama and Georgia are the two most obvious." Alabama Department of Conservation and Recreation acting law enforcement chief Kevin Dodd said there is no correlation. Sunday hunting has been legal since the "1940s or '50s, maybe longer," he said, and dog hunting started to decline in the mid-1990s. Sunday hunting in Georgia has been legal "for at least as long as I've been alive and I'm 43," said Georgia Department of Natural Resources (DNR) biologist Don McGowan. The DNR placed restrictions on hound hunting in 2003 due to increased landowner complaints. "Ninety percent of landowners don't want it, and non-hunters are overwhelmingly opposed to lifting the ban," he said. According to a 2012 survey conducted by Quinnipiac University, 48 percent of all Virginians actually supported lifting the Sunday ban while just 40 percent opposed it. A portion of the opposition came from the equestrian community, which cited safety as their primary issue. O'Brien, however, doesn't think the safety arguments carried any weight with the four delegates who voted against it in sub-committee. "They had their minds made up long before this ever went to the final vote," said O'Brien. "The sub-committee chairman is good friends with Kirby Burch, and it was more than a coincidence that the sub-committee was stacked with members who were known to be anti-Sunday hunting." The four delegates who helped defeat SB464 are all Republicans and hunters and voted in favor of a bill that expanded chase opportunities on Sundays for bear hunters. They also opposed a potential ban on fox pens, where hounds chase foxes within a fenced enclosure, a practice often done on Sundays. "There is no one more concerned about the future of hunting than I am," said James Edmunds, one of the delegates who voted no, in an interview with the Roanoke Times. "Adding seven to 10 more days [Sundays] to the season&apos;¦will, in my opinion, create an ever further divide between hunters and non hunters." There's no question hunters themselves are divided over the issue. A 2006 survey conducted by the Virginia Department of Game and Inland Fisheries (VDGIF) found that 28.5 percent strongly opposed Sunday hunting. That's gradually changing, and O'Brien and National Shooting Sports Foundation (NSSF) Director of State Affairs Jake McGuigan said they have heard from houndsmen in favor of Sunday hunting who were disappointed in the outcome. The NSSF is one of a dozen organizations that make up the Sunday Hunting Coalition. Burch said just 12 deer houndsmen dropped out of the VHDA, which claims to represent 66,000 hunters, and four of them rejoined. "We held an organizational meeting in which we surveyed the 86 hunters who showed up. Just four supported any conditional type of Sunday hunting," Burch said. McGuigan also heard from a number of Virginia Farm Bureau (VFB) members who disagree with their organization's position. The VFB actively lobbied against Sunday hunting, but there is growing dissent among that organization. "Younger farmers in particular have spoken out in favor of Sunday hunting, despite the official position of the Farm Bureau," said McGuigan. What troubled so many, however, was that hunters were fighting among themselves. The chasm between Virginia's dog hunters and still-hunters has never been more obvious, something that troubles O'Brien. 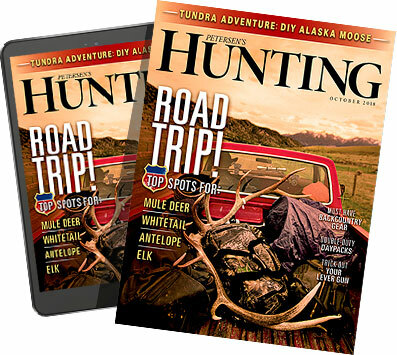 "The divide in the hunting community, which is being widened by the VHDA leadership, isn't good for the future of hunting," he said. That divide was already set, said Burch, when still-hunters did not speak out against potential restrictions on deer hounds. The VDGIF undertook a study on hound hunting in 2005 that addressed numerous concerns over the practice from non-hunters and hunters. The study did not result in any changes. "If they stood up for us then, we might feel a little different about Sunday hunting," said Burch, who called the NRA, also part of the Sunday Hunting Coalition, and the NSSF "carpetbaggers." "We've identified our enemy," he added. "We didn't pick this fight, we are just defending what was there all along."